Now I’m sure we’ve all heard of crab cakes and the majority of us have tried them in our favourite restaurants. But crab meat isn’t the most accessible or the cheapest in price. So what about shrimp cakes? Armed with my crab cake recipe while I strut the aisles of my supermarket, I searched for crab meat only to find none. However, a 1-pound bag of shrimps caught my eye and I immediately was reminded of the home-made shrimp cakes I grew up with. I’ve recently rediscovered the joy in cooking savoury foods. Now, as you can see, 95.83% of my posts have been on sweet baked goods that call for precise and exact measurements. While I have no difficulty paying maniacal attention to every detail and measurement, it sometimes takes away the fun. Even when I do opt for a substitution, they are usually researched upon beforehand. However when it comes to cooking…. I play by my own rules! Substituting crabs for shrimps? SURE! No cilantro? Let’s throw in some parsley! I guess I would have to attribute part of it to my Asian-ness. I.don’t.like.spending.money.unecessarily. If I have it, then great! But if I don’t then I’m not going to shell out $5 for 1/4 tsp of a certain spice, especially when I probably wouldn’t use it again! Plus I often find it fun experimenting with different spice combinations. Isn’t that where the joy of cooking comes from? 🙂 I bet if you made this recipe, you’d be changing it up too! With that being said, here’s a 10 minute appetizer that you can make at home! or… 5 minutes if you’re super fast in the kitchen! 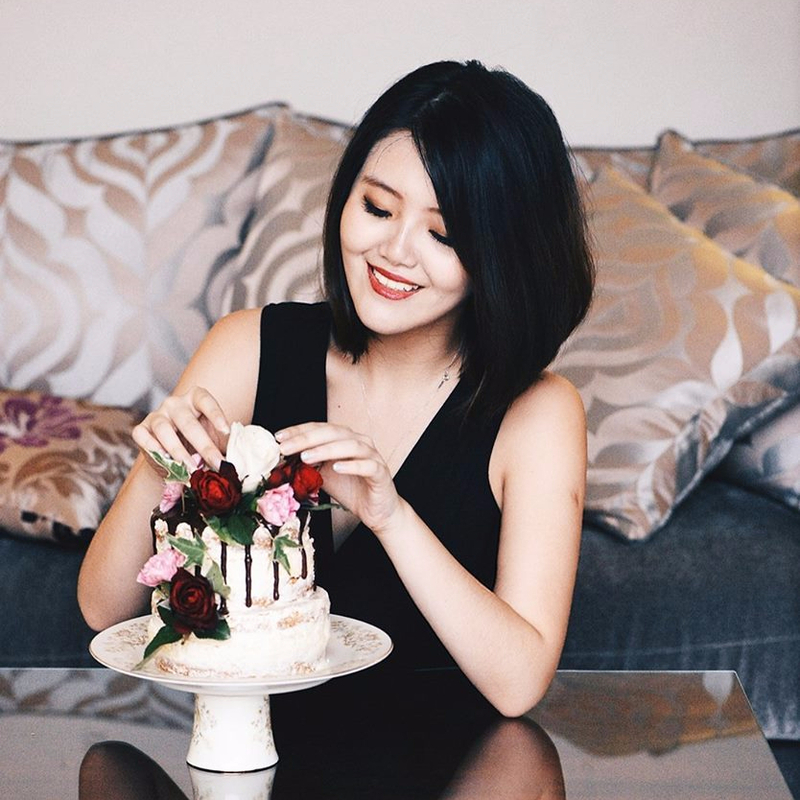 Although I referred it to an appetizer, these cakes are can easily be made into a meal! I remember my childhood days having this with rice and stir-fried broccoli. Yes, super Asian! Just the way I love it! ❤ ❤ Or you could eat it as a patty in your burger / sandwich! Coarsely shred shrimps by using your hands to tear them apart. You can also use a food processor if you don’t mind the extra cleaning to do! Lightly beat egg. Add in mayonnaise, mustard, Worcestershire sauce and all the spices. Add in shredded shrimps and bread crumbs then mix ingredients by hand. Form into patties; this should make 6 good-size cakes. Dust each side with flour, re-dusting whenever necessary. Heat skillet with medium heat and use 1 tablespoon of butter for every 3 shrimp cakes, then fry cakes for about 2-4 minutes each side or until they are nicely browned. These little cakes are quick easy look delicious and very classy! haha.. Thanks Uru! Yeah, they were easier than I thought they’d be! Aww! haha.. Thanks Tandy! Glad you liked it! Sammie, these look so delicious! I have one question, are the shrimp raw when you chop them up or do you buy cooked shrimp? I really think I’ll make these soon for an easy weeknight meal. So glad you shared this! Yeah you definitely are, Bam! You make the most innovative substitutions! Not sure about Vietnamese shrimps!! I usually get the frozen ones from the supermarket! haha… Thanks Bam!! Yum! Making these this weekend! Yay! lemme know how they turn out! 🙂 Thanks! I’m really going to have to try these. They look fantastic and might be cheaper than crab cakes. Well done Sam. Yeah! They’re much more affordable and also super yummy! 🙂 Thanks Tia!! These look great, Sam. I love crab cakes so I would likely love these. I wonder, have you ever tried baking them to avoid frying? Only 10 minutes?! Sold! These look so tasty, Sam! Yay! Thanks Lorraine! Yeah! I’d probably make it again and maybe even add some celery and bell peppers! What a great idea to use the shrimp instead of the crab. I am allergic to the shellfish but I can sub fake crab in your recipe, it looks delicious! Now you are talking my language when it comes to cooking, play by ones own rule. I love to substitute and always wondered: “What if …..” Baking on the other had as you mentioned, requires precise and exact measurements which I can do if I have to but dislike. Your shrimp cakes look wonderful. Yeah! Baking is definitely a Science. One tablespoon too much or too little can sometimes flop the whole recipe! Wha! There is no way something that looks this good is so simple and quick to make! I love it! 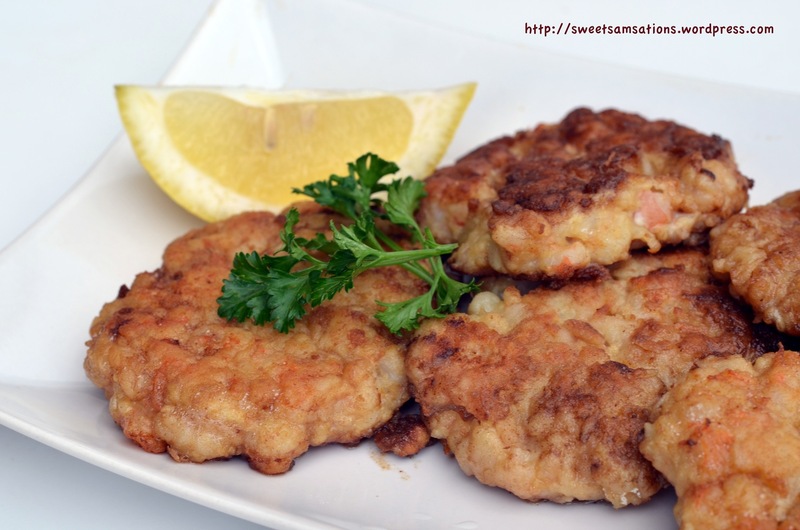 Simple, delicious and so many ways to serve these nifty shrimp cakes. these sound + look just wonderful! Awww I’m glad to hear that Liz! I hope you’ll like them! If you like, you can add some celery and bell pepper to make them a little healthier too! hehe.. I made a similar dish (chicken patties/burgers) out of a recipe for chicken meatballs meant to be used in soup because I didn’t want to bother making a lot of tiny meatballs nor did I particularly feel like making a pot of soup on that day. What I DID want to do was use up some trimmings of chicken breast that I had after making chicken cutlets for chicken katsu and try out my handy new food processor. By the way, I’m thinking that with some fiddling the ground shrimp would be a great filling for some chinese steamed dumplings or even for those wonderful stuffed green peppers like you get for dim sum. Hi Dear! Thanks for your insightful comment!! Yeah! That chicken patty sounds delicious! And how creative you are to turn your meatballs into patties! I also love your idea of those dim sum. Shrimps are always great fillings! Oh, these look great and simple ingredients, which is a bonus in my book! I live near the ocean, so we have several restaurant that serve the crab cakes, but they always use too much filler, probably to cut down on the cost. 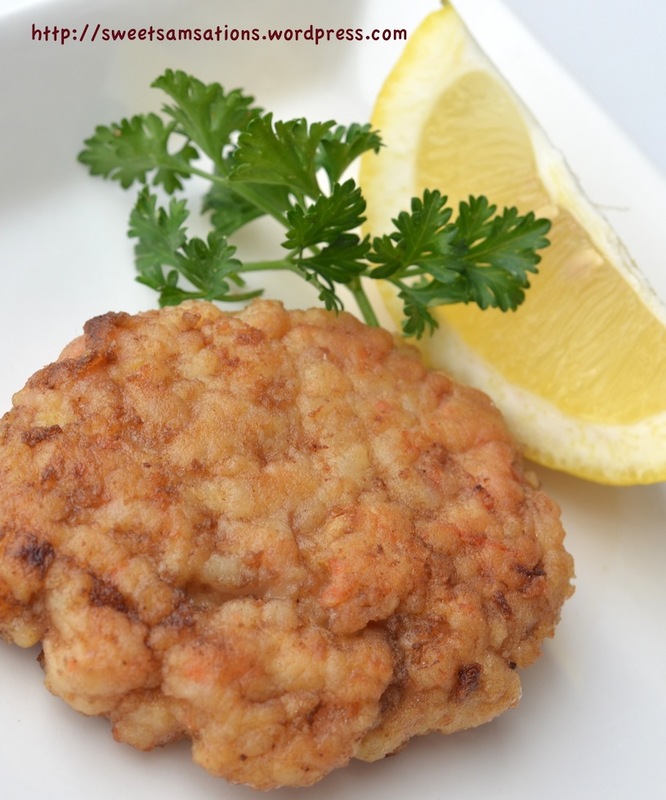 Your shrimp cakes are perfect! 10 minute! Sounds perfect to me, especially soon I have to start making my son a lunch box…. 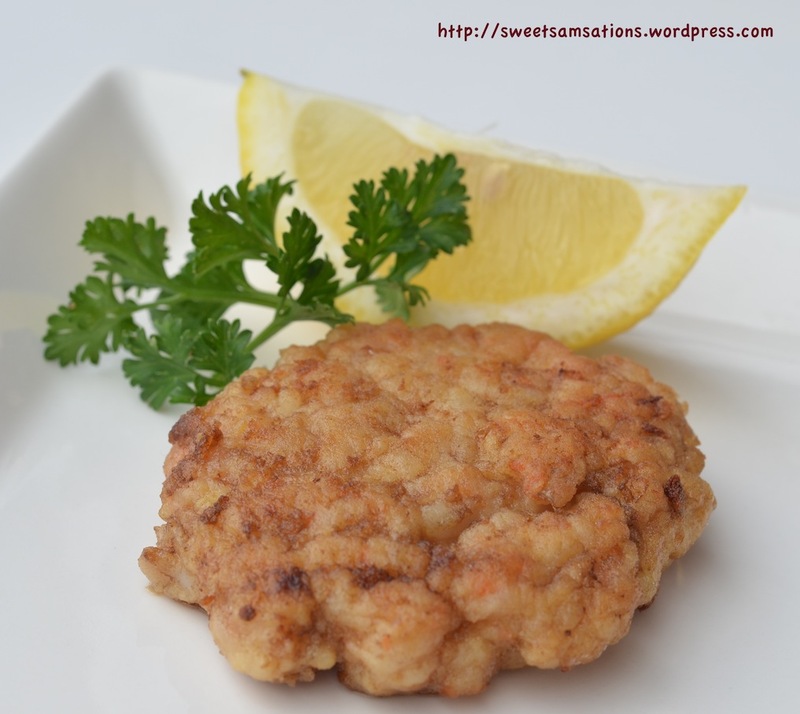 10 minute with this delicious shrimp cakes? I’m in! hahaha.. Thanks Carolyn! Yeah! I’ll try them with some avocado next time too! I think they’d go very well together!